With everything seemingly going mobile these days, mobile apps for the financial services sector is certainly the hippest kid at the party. Fintech’s spin as the belle of the ball started after the financial crash that occurred globally in 2007. The crash prompted venture capitalist firms to start pouring large investments into the sector hoping to cash in on solving the world’s woes. And activity in the space holds strong. The first half of 2016 alone saw $12.7 billion in global Fintech investment and currently holds the largest share of mind and wallet for investors out of any of tech’s “hot” sub-sectors. Investment firms, mortgage companies, and banks have existed in Canada since the 1800s. The result is well-entrenched business models and practices that have served this country well. The Canadian banking system was ranked the soundest in the world by the World Economic Forum for seven years in a row. The institutions that form the financial backbone of our economy are now faced with evolving to earn the business of millennials—Digital natives with expectations for personalized service and consistent omni-channel experiences. 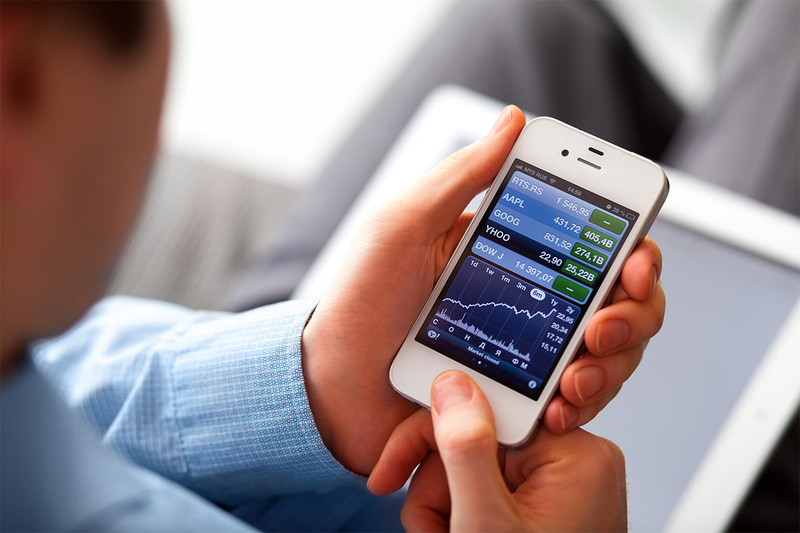 And all the data shows that financial services transactions are increasingly moving to mobile devices. People want personalization and the ability to enhance their financial awareness anytime, anywhere. They want to understand their financial health and they do not want to be constrained by branch hours to conduct transactions. They want to perform these tasks on the device of their choice from the comfort of their couch. Many financial services companies are starting to realize that as they provide a better, more comprehensive digital experience they are starting to achieve significant savings on personnel and infrastructure costs. The ability to leverage analytics, enormous amounts of institutional data, and automation enables better, more personalized services without having to scale up on overhead and manpower. The overall cost and burden of compliance requirements for our highly regulated financial institutions is also being alleviated by the migration to digital and the assistance of automation. Simply put, a well-executed omni-channel strategy is critical to gain, engage, and retain customers. If financial services companies do not continue to innovate, they will fall short of meeting customer expectations and risk losing the ability to attract new customers while watching existing customers flock to the competition that offers better, more personalized customer service. Security is also a major consideration. Cyber-attacks on the financial services sector are almost three times that of other industries. It is critical that your team be actively and regularly looking at all the latest security solutions to handle sensitive data. Without proper security measures in place, you risk facing litigation and repercussions in the form of reputational damage and loss of customer trust. The pool of competition challenging well-established firms in the financial services sector is wide and deep. Inc.com, Forbes, CNBC, and Investopedia all released lists predicting the top FINTECH companies to watch in 2016. There were only 2 companies that landed on 2 lists. Other than that, each list was completely unique. The up-and-coming companies on each list were primarily focused on investment, payments, or lending. Previous years have seen personal financial management solutions dominating investor attention and gaining a great deal of traction with consumers. Looking ahead to 2017, Insurance Tech could be the one to watch. Three of the ten largest Fintech financings in Q1 of 2016 were startups looking to disrupt the insurance industry. Smartphones are the primary device for 83% of the population. Customers and employees are on the go. Smartphones dominate and the Internet of Things has us more connected than ever. So, companies must build digital experiences that are meant for mobile. For many customers now and in the near future mobile isn’t just an important channel, it’s their only channel. Accenture’s 2015 report on digital found that 82% of executives think mobile apps are integral to their organization and business. Most of Canada’s financial services companies have dipped their toes into the mobile space and launched consumer facing apps. But, to remain in the game with the emerging competition it’s important that companies invest in apps to build customer loyalty, drive sales, speed up training, attract employees, and more. A review of the finance category on the Canadian App Store shows that there are some companies that have succeeded at creating truly amazing mobile experiences. But that field is not strong. There is a lot of room for companies who invest wisely in their mobile strategy to win the hearts and minds of Canada’s consumers. Creating amazing mobile experiences requires an app to have both great design and functionality. The apps that rank highly on the App Store and receive rave reviews from their loyal users are filled with critical functionality (people want to do it all on their mobile) and have a great, intuitive user interface. So, the first critical step towards a winning mobile strategy is to ensure you have a strong systems architect and a very talented, mobile-focused UI/UX designer on your team. In our next post, we will cover all the ingredients you require to develop and launch a successful financial services mobile app. The next couple of years are ripe with opportunity and the future is very bright for the finance sector in Canada. We have global thought leaders on digital policy, privacy and security within finance. We have a strong backbone of financial institutions that have been consistently ranked as best in the world. And this is all supported by an amazing pool of tech talent and fintech startups that will continue to drive innovation forward. It is exciting times. Dynamic Leap is a Vancouver based software development company building high quality native mobile applications for iOS and Android, responsive HTML 5 mobile web apps, and hybrid native/HTML 5 apps.